Fr. Jamie Forsythe was installed as pastor and named a Monsignor in December of 2017. Ordained in 1983, Fr. Jamie spent 5 years in the Roman Church, then several years on staff of MCC of the Rockies in Denver before being named pastor of MCC of the Black Hills in South Dakota. He became involved with the Independent Catholic Church in Atlanta and served at St Michael's and then as pastor of Good Shepherd. 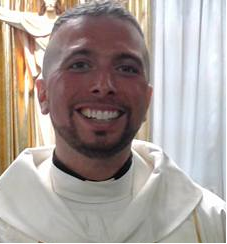 He moved to Florida in 2004 and has served as an Associate Pastor at Holy Angels. Bishop Terry was the Founding Pastor of Holy Angels National Catholic Church in 1996. Prior to establishing the church, Bishop Terry worked as a hospital chaplain after leaving Michigan and moving to Florida. He was consecrated a Bishop in 2005 and served several years as the Presiding Bishop of the National Catholic Church of North America. He became Presiding Bishop Emeritus in July of 2016, and Pastor Emeritus of Holy Angels in December of 2017. Bishop Terry has been with his partner for 40 years, legally getting married in 2015. Father Andrew M. McLaughlin is a Catholic Priest from Detroit Michigan ordained in 1987. Fr Andrew moved to Florida in 1992. While living in Florida, Fr McLaughlin has worked in varies career settings. . In 2002, Fr Andrew was introduced to Bishop Terry Villaire, another priest from Michigan, who invited him to become part of the clergy for the National Catholic Church and pastorally assist at Holy Angels Catholic Community. He is now enjoys work as a a shuttle driver and service porter for Grieco Chevrolet in Fort Lauderdale. Deacon Kelly Graham was born in Massachusetts where she was a cradle Catholic. Her family moved to Wilton Manors in 1973 when she was 7 years old. She attended the University of Oklahoma and is an occupational therapist working with elderly in rehabilitation. She has been married since 1997 to her wife Leticia who is also very active in our parish. Kelly has been a member of Holy Angels for over 10 years and was ordained a Deacon with us Easter of 2017.